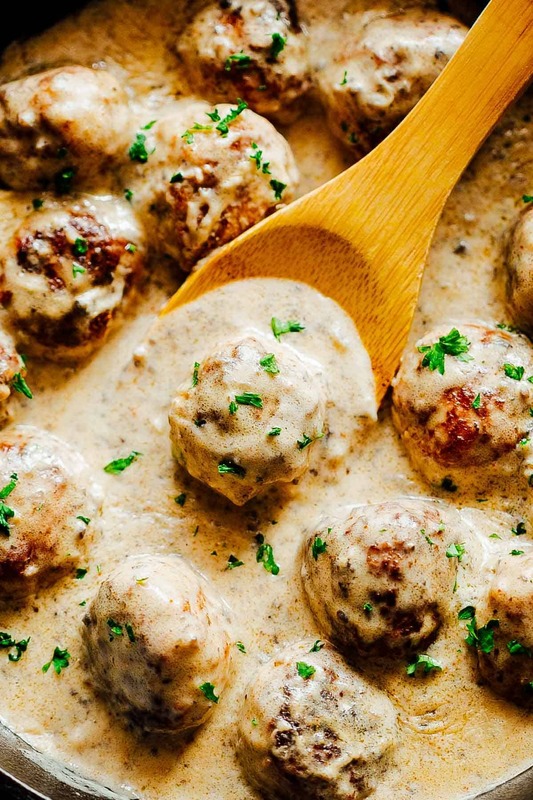 Creamy Chicken Meatballs in Mushroom Sauce - Ready in 30 minutes! 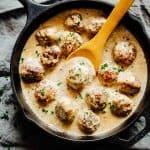 These creamy chicken meatballs in mushroom sauce are soft, juicy, full of flavour and tossed in a luscious sauce made up with lots of mushrooms. This is a delicious 30 minute dish that’s perfect for dinner with some noodles or pasta. I’m not even kidding you when I say that I can guzzle down that sauce by the litre. Its that good! I’m a huge mushroom sauce fan and this is really my third recipe that uses a similar sauce situation. Because that sauce is everything. And I think there is nothing wrong with adding chicken meatballs to that sauce. In fact every single thing is right every time I make these creamy chicken meatballs in mushroom sauce. Which is like thrice in the last week. 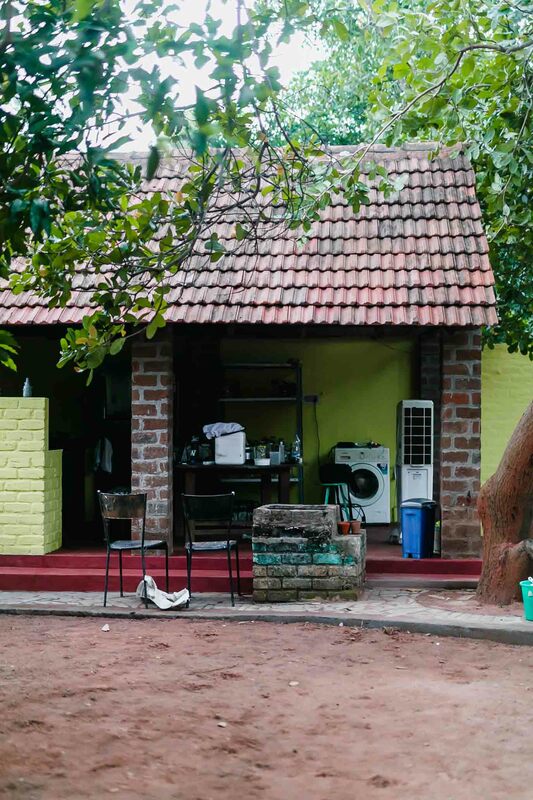 Even while we were packing up and unpacking to leave for Auroville. Serious dedication folks. Don’t tell me to stop. There are some cool tips to making this recipe, faster, simpler easier which I’m going to share. While making meatballs, the best way is to mix all your ingredients except the ground meat first. This way it’s much easier to combine your seasoning, binding agents and flavouring when you finally add the meat. Don’t overmix. Seriously, just stop when you feel like you are 90% done. 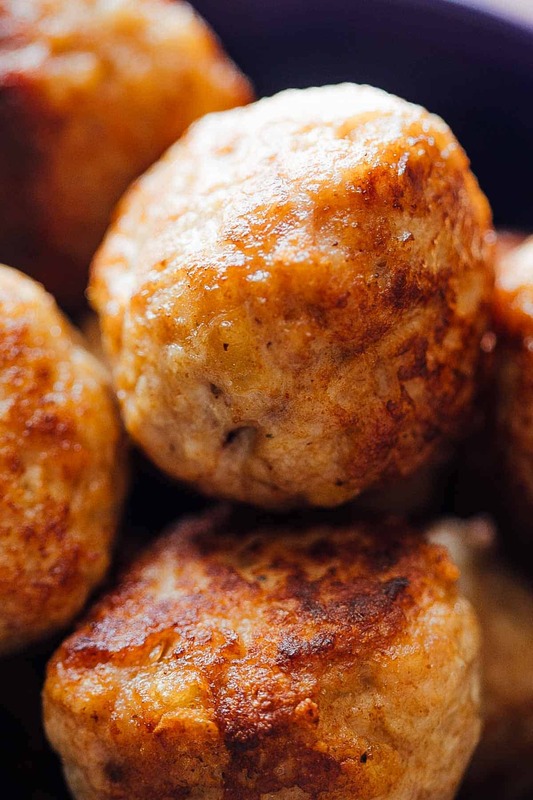 Overworking the meat can lead to denser meatballs. To chop the mushrooms finely, just cut them in half and add them to a food processor. This will coarsely chop the mushrooms without you having to do any of that effort. Takes about 2.5 minutes. Always sear the meatballs on high heat. This locks in the flavours and the sear helps them retain their shape when you add them back to the sauce. Feel free to switch up chicken meatballs for vegetarian ones if you are a vegetarian. But retain the sauce. Because that sauce absolutely rocks! Make the meatballs: In a large bowl, mix together all the ingredients except ground chicken and oil. Mix well and add the ground chicken. Mix till just combined. Form the mixture into approximately 18 meatballs. Set aside. Sear: Heat two tablespoons Olive Oil in a pan and add as many meatballs as will fit into the pan without overcrowding. You may have to do this in batches. On high heat, brown the meatballs on all sides and remove them on a plate. Sauce: Heat two tablespoons olive oil and a tablespoon of butter in the same pan. Add garlic and onions. Cook till the onions soften and become translucent. Add the mushrooms and cook for another 2-3 minutes. Stir in the flour and cook for another minute to get rid of the raw flour flavour. Slowly add the chicken broth and keep whisking continuously till the sauce thickens. Stir in the rosemary, parsley, paprika, salt, pepper and meatballs. Add a little more stock or water if the sauce is too thick. Simmer the meatballs for ten minutes. Stir in the heavy cream and switch off the flame. Serve hot with noodles, rice or mashed potatoes. This recipe is a must-try! Has a touch of the Italian creaminess and yet not the super heavy kind. I added 2 pieces of chicken drumsticks as well which I seared and cooked on high heat before dipping into the sauce. Can’t wait to try other recipes! So glad you liked it Pallavi! Really good. The whole family loved it. I didn’t run the mushrooms through the food processors though. I just chopped them coarsely. I followed the recipe exactly as written and it was absolutely delicious. I served over mashed cauliflower – definitely adding this recipe to our dinner rotation. It really is everything!! So glad you guys loved it! This was so delicious! We were in a last minute pinch because we had two main appetizers that were BBQ and so I searched for some different meatball options and found this one. We used Costco meatballs and this sauce. New favorite- and will be using this going forward. So good! So glad you liked it. That mushroom sauce really is everything! I absolutely love mushroom sauce. Absolutely delicious with these chicken meatballs! My husband would love these meatballs. That sauce sounds amazing! I love skillet meals like this! Such an easy weeknight option but something the whole family enjoys! Oh wow! I made these on the weekend with egg noodles and steamed broccoli for lunch or dinner reheats in the microwave. They got even better as leftovers! I even snuck some shreaded kale into both the balls and sauce to get in a few leafy greens. So delicious and satisfying! Tastes ‘richer’ than they actually are. Definately going into my rotation. Thank you for posting! These chicken meatballs do taste richer than they actually are Rhi! I think thats because of the mushrooms in the sauce. So glad you liked them and I love when I have leftovers to eat again 🙂 Thanks for leaving a comment here! It was simply delicious! Everyone loved it. What mushrooms do you use for this sauce? Drooling over here. 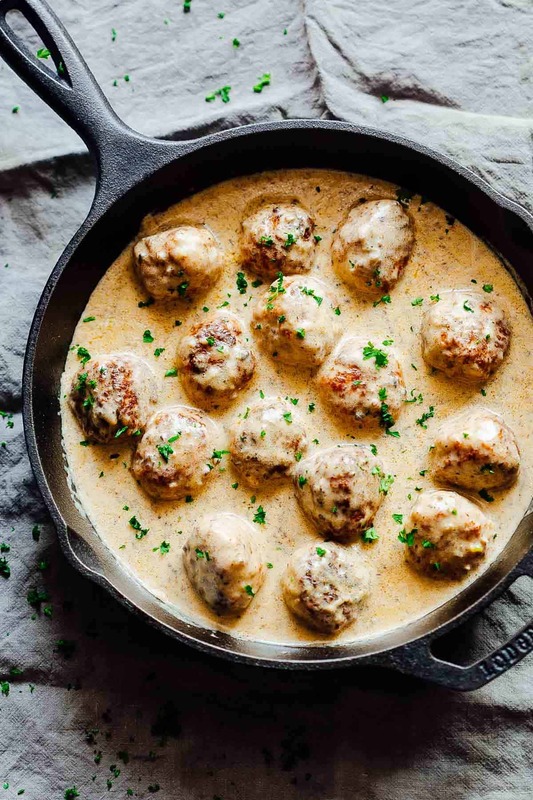 These meatballs look so insanely good- that sauce could go on just about anything and I think I’d eat it up!